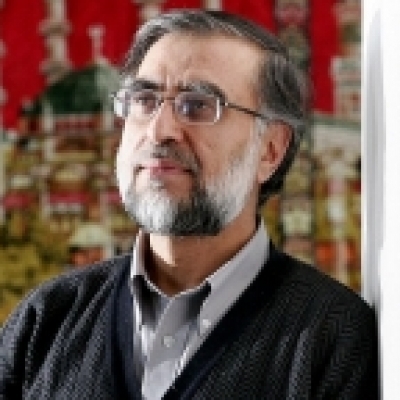 This is an abridged version of a paper presented by ICIT Director Zafar Bangash at the International Iqbal Society, Canada Chapter in Whitby (near Toronto) on 11-3-2018. 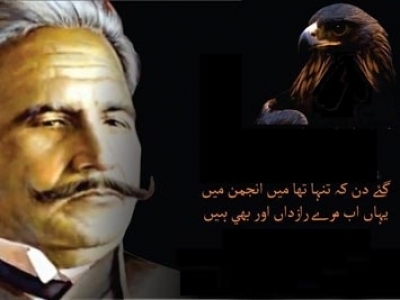 Allama Muhammad Iqbal (aka Iqbal Lahori in Iran) was one of the greatest Muslim thinkers of the 20th century. Born into a very modest family in Sialkot on November 8, 1877 (under British colonial rule at the time), he was a gifted child and brilliant student, winning top marks at university. Following his early education in Sialkot, he moved to Lahore where he lived — barring his brief three-year sojourn in Britain and Germany for further studies — until his death on April 21, 1938. While best known as the “poet of the East,” Iqbal used poetry as a means to deliver a message whose purpose was the awakening of Muslims in British colonial India. Every year, his admirers celebrate his birthday and highlight his contribution to Muslim political thought as well as recite his stirring poetry, paying tribute to him. To understand the significance of Iqbal’s contribution, it is important to bear in mind the time period in which he was born. Muslims had ruled India for nearly 1,000 years before the British displaced them from power. A last ditch attempt to wrest control back from the British colonialists failed in 1857. The defeat proved debilitating for Muslims. They began to see subservience to the British raj as a permanent condition. Their physical subjugation was compounded by their mental slavery into which they fell. For the Hindus, British colonialism made little difference; it merely meant a change of masters from “brown” Muslims to the “white” British! They viewed this change as an improvement in their status at the expense of their former rulers. In 1905, Iqbal went to England for further studies. During the three years he spent abroad (in England and Germany), he took a degree from Cambridge University (he was enrolled at Trinity College), was also called to the Bar at Lincoln’s Inn in the same year (1906), and then within two years, he did his PhD in philosophy from the Ludwig Maximilian University in Munich (German). Naturally, he had to first learn the German language. In Germany, he also gained much greater insight into the works of such German scholars — poets, literary critics, and philosophers — as Goethe, Heine, and Nietzche. With a sharp intellect, he gained a critical understanding of their thought and ideas, many of which he disagreed with. On his return journey to India, he visited Spain and made a point of going to the Masjid of Qurtubah. His sensitive nature was deeply troubled by the loss of these jewels of Islam. He wrote stirring poems lamenting their loss. The visit also inspired him to compose Shikwa (lament or complaint) to Allah (swt). In it, he asked Allah why the Muslims who had sacrificed so much for the glory of Islam were now in such a bad state. He complained to Allah for abandoning His faithful servants. It is poetry at its finest. His Shikwa led to Jawab-e Shikwa (response to the lament). In the latter poem, he imagines what Allah (swt) would say to the Muslims. 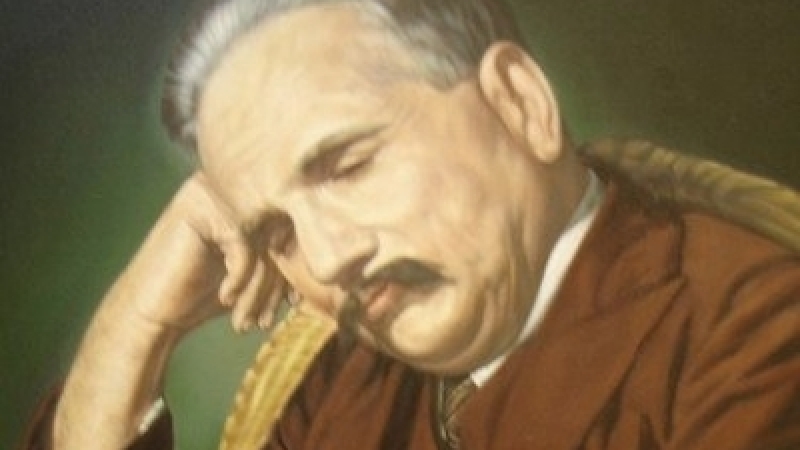 Iqbal then enumerated the Muslims’ many failures including their indulgence in rituals instead of living up to the spirit of Islam, and sectarianism into which they have fallen. 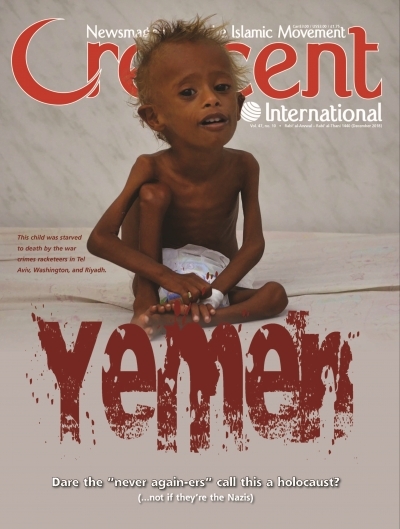 Alas, many of these failings still plague the Muslim world. In fact, they have become much worse resulting in sectarian killings. But Iqbal was not given to pessimism. As a great revolutionary thinker, he sought ways to awaken the Muslims from their slumber. He first analyzed the prevailing situation of Muslims. Finding it totally unsatisfactory, he set out to identify the causes of such decline. While pointing out how they could regain their lost glory — by reviving the commitments that had brought them to power in the first place — he identified the destiny they must seek. And he began showing the way of getting there. For this, he had to dispel the despondency that had engulfed Muslims and give them hope for a brighter and more hopeful future. Unlike most Muslims in India including some of the leading political figures, Iqbal did not surrender to the status quo. While born under colonialism, he refused to be its slave. He spent his life struggling to break out of its subjugation. He realized that the British would finally depart India but what would follow next could be equally bad for Muslims. There was the potential for them to become a permanent minority in Hindu dominated India. Those familiar with the history of British India of the time know that there were many attempts at creating Hindu-Muslim harmony. All such attempts failed for two principal reasons: first, the Hindu leadership (Gandhi, Nehru, Patel, et al.) was completely insincere. They simply played the Muslims along, doing little to prevent anti-Muslim pogroms perpetrated by Hindu extremists led by such fascist outfits as RSS and Shiv Sena. The second reason for failure to achieve amity between Muslims and Hindus was the totally divergent outlooks of the two communities. This is called shared memory. The concept needs elaboration because it has profound implications for one’s outlook in life. Shared memory is linked to both historical experiences but more importantly to ideas. Today, there are two opposing worldviews of history. Muslims believe that ideas make history. The West holds exactly the opposite point of view: that history makes ideas. Does it matter, and if so, how? Muslims trace their history to the emergence of Islam in Arabia and the Prophet’s Sunnah; everything flows from these two. It was the ideas of Islam that changed the course of history, not the history of Arabia. The inhabitants of that land had for centuries wallowed in jahiliyah and are reverting back to it today. By extension, Muslims consider the history of al-Andalus shaped by our original ideas as much belonging to us as we consider Arabia, Palestine, and Kashmir, for instance. Let us look at it another way. Consider the people living in North America today, or more specifically what is called the United States of America. Three distinct groups can be identified (for this analysis, we will set aside the Hispanics and other minorities since their presence in the US is more recent): (i) Native Peoples or First Nations; (ii) European colonizers; and (iii) African Americans. The First Nations have lived on the continent since time immemorial. They have a very different perception of shared memory compared to the European colonialists. The African Americans have their own perception of shared memory. For instance, the Europeans view Columbus as an explorer and hero; the First Nations see him as an intruder and mass murderer. For African Americans, their shared memory is one of dislocation from Africa and a long period of slavery and oppression. This also captured the plight of Muslims in India. Hindus and Muslims, two communities living side by side in India even in the same neighborhood, had very different outlooks on life because of their different shared memories. For Muslims, Arabia, the Muslim East, and Central Asia, even al-Andalus, formed part of their common history and memory while the Hindus’ outlook was/is shaped by Ramyana and other mythical Hindu tales. Proximity of neighborhood had little to do with their outlooks. The two pursued very different goals because of different shared memories. True, others had preceded Iqbal in realizing the Muslims’ separate identity. 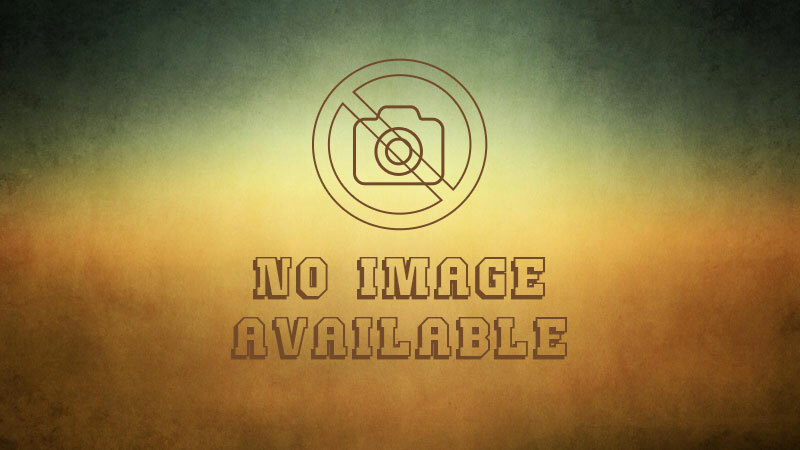 The former, however, looked at it within a single Indian polity. Only Iqbal articulated it in the form of a separate homeland for the Muslims. He outlined this view in his historic address to the All India Muslim League conference in Allahabad in December 1930 that he was invited to chair. He talked about the ethos, values, and spirit of Islam and stressed that Muslims have a separate identity and must, therefore, have a separate state, at least in northwest India. This was a totally revolutionary proposal and it took some time to sink in but he had put his finger on the problem and proposed a solution — the only solution — of the growing threat to the very survival of Muslims in India. For more than a decade, Muhammad Ali Jinnah had worked tirelessly to promote Hindu-Muslim amity and understanding. He was frustrated in these efforts by the deviousness of Hindu leadership. Unable to make much headway, he abandoned the quest and went to England to practice law (he was a successful barrister). It was Iqbal who urged Jinnah to return to India and lead the movement for the creation of a separate homeland for Muslims that constituted some 200 million people out of a total population of 700 million in India (Iqbal did not give a name to this new country. It was Chaudhry Rahmat Ali, a student at Cambridge University who coined the name Pakistan. It quickly gained currency. Within 10 years of Iqbal’s Allahabad address, the All India Muslim League passed what came to be called the “Pakistan Resolution” in March 1940 at Lahore. It formally called for a separate homeland for the Muslims of India. While Iqbal had passed away two years earlier, Jinnah said were he alive, he would be pleased with the resolution. But Iqbal did not merely throw the ball in Jinnah’s lap. He used his immense talents through poetry to motivate people to achieve their rights. Why poetry? If Iqbal were living today, he would probably have hundreds of millions of Twitter followers and perhaps the same number on Facebook. But he was born in a different age. At that time, poetry was one of the most effective means of motivating and mobilizing people. He also used it to unite the Muslims. To consider just one example, during the Italian invasion of Tripoli (Libya) in 1911, there was a young lady named Fatimah bint ‘Abdullah who would go around providing water to the resistance fighters. She was martyred in the process. Recalling her sacrifices, Iqbal wrote a poem about her that he recited at the Badshahi Masjid in Lahore. During his stirring recital, he moved the audience to tears. Iqbal’s breadth of vision was impressive. He covered such topics as the Muslims’ liberation of North Africa and Spain, and Mawlana Jalal al-Din al-Rumi’s thought (that greatly inspired him); he urged the Afghans to recognize their own glory in poverty and he wrote a poem addressed to the youth of Iran titled, Aye Jawanaan-e Ajm, Jaan-e mun wa Jaan-e Shuma (in Zabur-e Ajm). Deeda um az roozan-e dewar-e zindan-e shuma (I see this through the wall of your prison). One cannot help but admire Iqbal’s foresight for he predicted the Islamic Revolution in Iran led by Imam Khomeini nearly 70 years before it actually occurred. It is all the more remarkable since Iqbal had never set foot in Iran. Despite this, his greatest and best poetry is in the Farsi (Persian) language. This explains why Iqbal is so greatly admired in Iran. Leading intellectuals and thinkers quote him extensively. 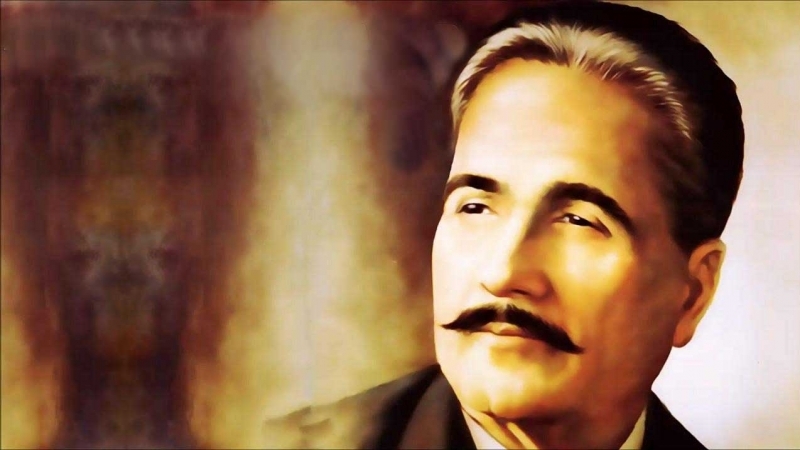 Iqbal realized that the youth of society are the ones who will carry the mission forward. So his poetry addresses the youth in particular trying to inspire and motivate them. There are absolutely stirring lyrics that would inspire any reader, not just the youth. He was a brilliant man whose message needs to be widely circulated, especially in today’s grim environment when Muslims are being persecuted and killed everywhere.